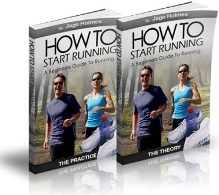 Do You Want To Know How To Start Running? If So You've Come To The Right Place. I'll Spill The Beans On Some Great Hidden Running Tips And Jogging Training Techniques, So You'll Know Exactly How To Start Running... And Keep Running! One of the most important questions anyone thinking about using running or jogging as a way to get fit or lose weight is – ‘how to start running.’ Getting things right from the beginning can literally save you weeks of frustration and disappointment, ensuring you side step the potential pitfalls of injuries, stagnation and boredom. All of which end in the very same way – failure. To answer this question will vary depending on your initial level of fitness and the condition of your joints and state of health. For the majority of new joggers/runners however, contrary to what you might think, simply going out and starting to run is not how to start running. This is because you need to allow your body time to adapt and change in order to get used the stresses and strains of your new ‘active’ hobby. When you start any new sport or activity the key is to ease in to it gradually. Following a good quality 5k or 10k training schedule is the best approach. You need to allow your joints and supporting muscles the time to get stronger. This can be done through using lower intensity exercise such as walking until you gradually progress, moving on to slow jogging, jogging and finally on to running. You also need to learn how to use the perfect running technique so that you don't place your body in a position where injury is possible or more likely. So easing in to jogging and then running over a few sessions makes much more sense for this reason alone. Finally and perhaps one of the most important running tips to consider when learning how to start running or more importantly how keep on running in the future, is the role your mind plays during your running workouts and the build up to those workouts. If on your first training session, you push yourself way out of your comfort zone, to a level that causes you intense discomfort and pain by running as fast as you can instead of jogging at a leisurely pace and actually enjoying it, then it's very unlikely that you'll want to do it again. You’ll dread your workouts. But to get any better at running, you need to go further and for longer in future runs, therefore suffering much more discomfort. If you love pushing yourself to your limit then that's great for you. However, most of us don’t think this way and need a much more enjoyable and gradual introduction to jogging and then running. The problem here is that you’ve started at too high a point and taken away all of the enjoyment. You need to go back to basics and start out much easier.